We’re just loving the natural beauty of this natural bedroom set. It may look weathered and worn, but this suite is brand new. Finished with a dark brown weathered oak color, you can faintly see hints of grey and black woven throughout. These subtle neutral tones meet to blend a gorgeous grey-brown that can only otherwise be found in nature. Can you unscramble this image to solve this puzzle? 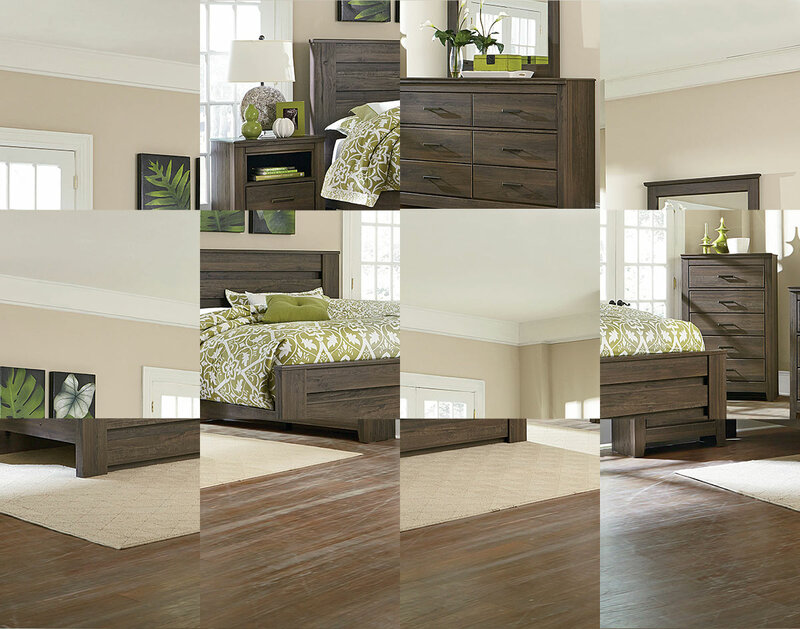 Click the photo to go to the product page, or click here to find out which natural bedroom set this is. Read on for hints about this product and leave us a guess in the comments! What Comes With This Natural Bedroom Set? We like to make it easy for you at American Freight. We know you have your own style, so you are able to put your own package together at any time! Click here to learn more about building your own package. More commonly, our customers buy furniture packages made up of pieces we have already grouped for you. This natural bedroom set comes in a few different options. First, you can choose to get this bedroom set in a Queen bed or King bed package. Next, you can choose either a three piece bedroom set or a five piece bedroom set. The complete bed for both sets includes: headboard, foot board, and rails. Click here to go to the product page for pricing information, dimensions, or further details. The cast metal bar pull handles on this natural bedroom set are finished in an aged bronze color. They fit both the trendy look of Spring metallics, and incorporate the vintage feel of this set. This classy hardware ties it all together, right down to the details. Dare we say, right down to the brass tacks? Click here for more Spring trends. Neutrals never go out of style. They hide dirt, so they’re easy to keep clean. And most of all, they decorate well with everything. If you wanted to add a touch of creativity to this beautiful natural bedroom set, you could go with the three piece bedroom set and add your own endtables or nightstands. Neutral nightstands don’t have to be boring. 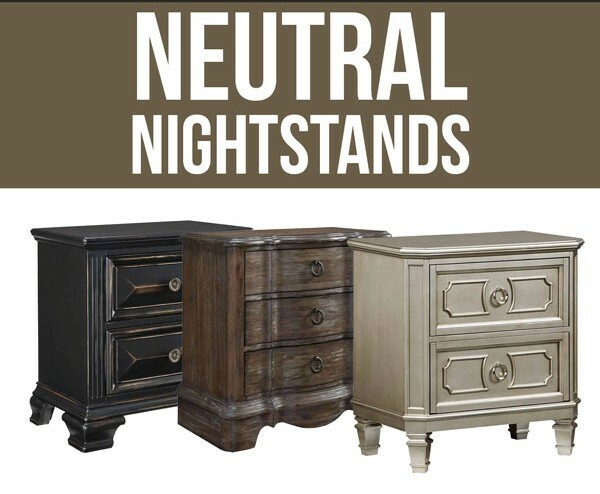 We recently detailed our favorite neutral nightstands on the blog, since that’s a common misconception. Check out some favorites by clicking here. Don’t miss another home design tip! 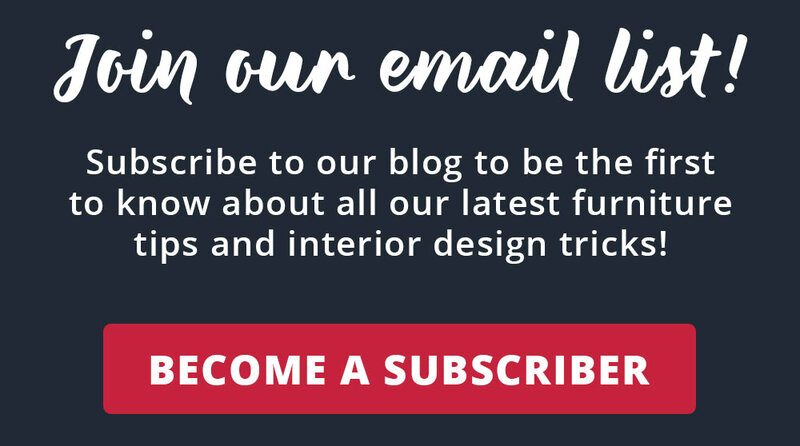 Sign up here to receive furniture tips, tricks, and trends for decorating on a budget without sacrificing your style.